After reviewing the research and case studies for Salvestrols I believe it to be a far more potent inducer of apoptosis (killer of cancer cells) than apricot kernels, more importantly it does not harm healthy cells. 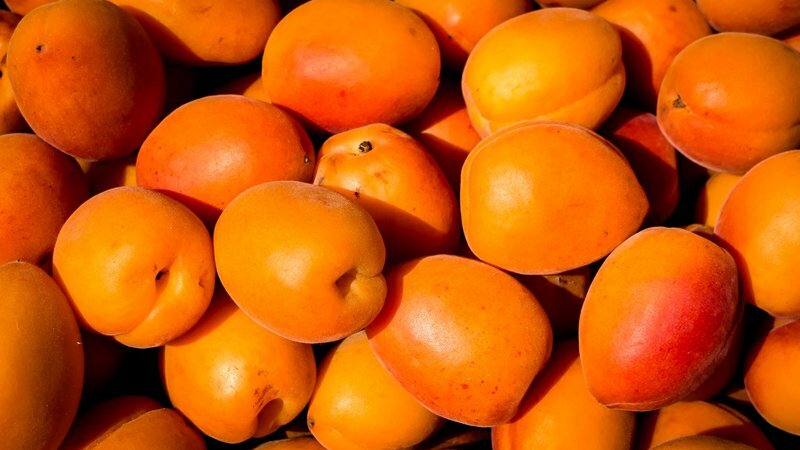 Apricot kernel contains a toxic chemical known as amygdalin. In the body this chemical is converted to cyanide, which is poisonous. There is much interest in using apricot kernel to fight cancer because it was thought that amygdalin was taken up first by cancer cells and converted to cyanide. It was hoped that the cyanide would harm only the tumor. But research has shown that this is not true. The amygdalin is actually converted to cyanide in the stomach / liver. The cyanide then goes throughout the body, where it can cause serious harm, including death. Chemotherapeutic agents also face these same issues of harming healthy cells as well as killing cancer cells. This highlights the amazing breakthough that is Salvestrols… the advantage of not harming healthy cells. To give you an idea of the potency of Salvestrols the team have to process approximately 4 tonnes of raw material for 1 kilo of active constituent. The Salvestrols Platinum capsules are rated as 2000 points in potency. The majority of supplements are completely safe to take with Salvestrols. Eliminating exposure to inhibitor(s) will improve effectiveness. Exposure can come through the workplace, the environment and the home, as well as supplements and dietary sources. These substances can inhibit CYP1B1 function, or cell uptake of Salvestrols. The presence of potential inhibitors is the first thing that needs to be addressed if there is a slow response. • Anything designed as a sugar mimic is a problem; artificial as well as natural sweeteners, stevia etc. site before Salvestrols enter the cell. * There is no minimal intake limit for Stevia and Salvestrol. Stevia is metabolised by beta-glucoronidase which is vital to cleave the sugar molecule off the Salvestrol complex to liberate the Salvestrol and enable it to enter the target cell. Stevia and other sugar substitutes are competitive inhibitors of beta-glucoronidase which reduces the therapeutic effect of Salvestrol as it cannot enter target cells to bind with CYP1B1 if the sugar molecule has not been cleaved. All sugar substitutes utilise beta-glucoronidase so it is best avoided when taking Salvestrol. I understand this may pose a problem with other supplements as most are using Stevia in their powder preparation. If this is the case, I would recommend dosing any supplements that contain stevia after 3pm when CYP1B1 activity declines and Salvestrol is not taken. (When taking a morning and midday dose of Salvestrols) The half life of ingested Stevia and other sugar substitutes is approximately 3-4 hours. Q: Are there any interactions between Salvestrol and liquid herbs Nigella sativa and Rabdosia rubescens? A: There is no negative interactions with Salvestrol. Nigella sativa is a weak inhibitor of CYP3A4 and may inhibit CYP2D6, CYP2C9 or CYP2C19 (or both). Rabdosia rubescens inhibits DNA polymerase and plays a part in the activation of the caspase pathway. Q: Is there any interaction between Fulvic or Humic acid and Salvestrol? A: There is no synergistic nor inhibitory effect with Salvestrol. In studies Fulvic and Humic acid have shown anti-inflammatory and antioxidant properties. Q: Why do some articles imply CYP1B1 exists in healthy cells? A: This confusion arises in reviews measuring mRNA CYP1B1 which is completely different to measuring CYP1B1 protein or the CYP1B1 enzyme which is over expressed in cancer cells. Oxygen also assists activation of Salvestrols, exercising in fresh air is great, strenuous exercise ideal, rebounding is great (see video below), exercise has also shown to increase natural killer cells and move lymph. Fatigue is an issue for some patients and they should seek advice from their health care professional about other approaches to boosting oxygen levels. When tumours have a low level of CYP1B1 the expression can be increased by using an inducing agent. One such inducing agents is Salvestrol T55 which is now incorporated into the Salvestrol Platinum product to boost CYP1B1 levels. In this respect supplements containing the indoles I3C and DIM would also be useful since these agents can increase CYP1B1 expression levels. These can be obtained from brassica family vegetables and supplements containing indole 3 carbinol (I3C), Broccoli sprouts and DIM are available. The Salvestrols have to be absorbed and be transported to the cancer cells (that is, they have to be bioavailable). They then have to enter the cancer cell and be metabolised by CYP1B1 to produce a metabolite that will initiate apoptosis. As you can see there are a variety of things that all must happen for the desired outcome. When a person is in poor health any of these processes are areas where a failure can occur. When I hear that someone is having a poor response to Salvestrols my immediate thought is that there may have been some exposure to CYP1B1 inhibitors (inhibitors prevent CYP1B1 from metabolising Salvestrols). Laetrile and supplement high level doses of resveratrol will certainly inhibit CYP1B1 and thereby nullify any beneficial effect of taking Salvestrols. Outside of these inhibitors there are a host of environmental inhibitors of CYP1B1, mainly in the form of fungicides. One can encounter fungicidal inhibitors of CYP1B1 on farms, golf courses, public gardens and also in a host of products. Paint, carpeting, dandruff shampoo, heating vent cleaners, new cars, chemical treatments for toe nail fungus etc., can all contain fungicides that can inhibit CYP1B1. Herbicides that contain glyphosate are also potent inhibitors of CYP enzymes. Residues can be found on many commercially grown crops, especially Round Up by Monsanto. Another area of concern is carbon monoxide from smoking cigarettes or marijuana. In light of this a systematic look for sources of CYP1B1 inhibition is a very good idea in these situations. Blood testing services to assist with correct dosing of Salvestrols are in development… stay tuned.